Okay, so you might not exactly be going to pass over to the celestial realm real soon, but just consider if you were. Would you pack your bags and go on a trip around Europe? Sounds like a good idea, doesn’t it? So why sit at home and wait until you’re knocking on death’s door to do it? Throw your stuff in a suitcase, get your tickets sorted and go have some fun while you can. Some things are better done and dusted than left stagnating on an I want to do this before I die list. It would literally take a lifetime to visit all the amazing places there are to see in Europe. So if you have to whittle down your list, what are the twenty best spots to see in Europe whether you’re about to die or not? If you’re going to do it then do it right and make sure you get to see all of these fantastic places while you’re still alive. 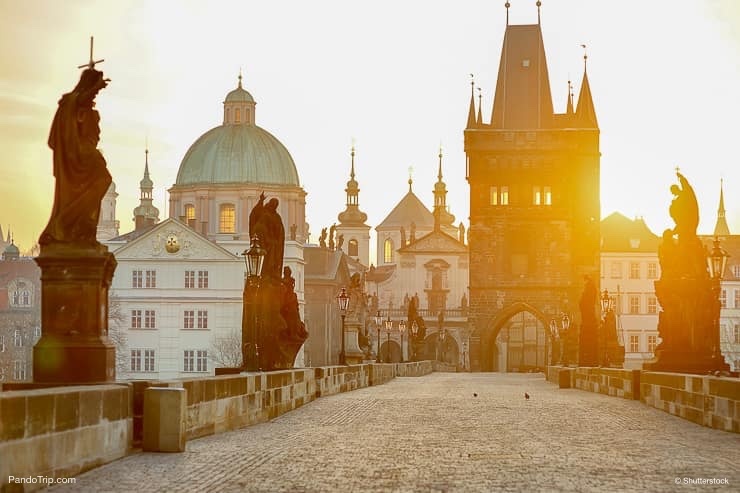 When you consider just how old the Charles Bridge which spans the Vltava River in Prague is, it’ll make you wonder how it’s still standing. The bridge’s sixteen arches are over five hundred years old and the bridge towers, which are part of a previous construction, date right back to the fourteenth century. Why Go? The Charles Bridge is stunningly Gothic. The thirty odd statues of saints you’ll come across when you walk over the bridge are a serious must see. You won’t find anything like it anywhere else it Europe. It is completely unique. 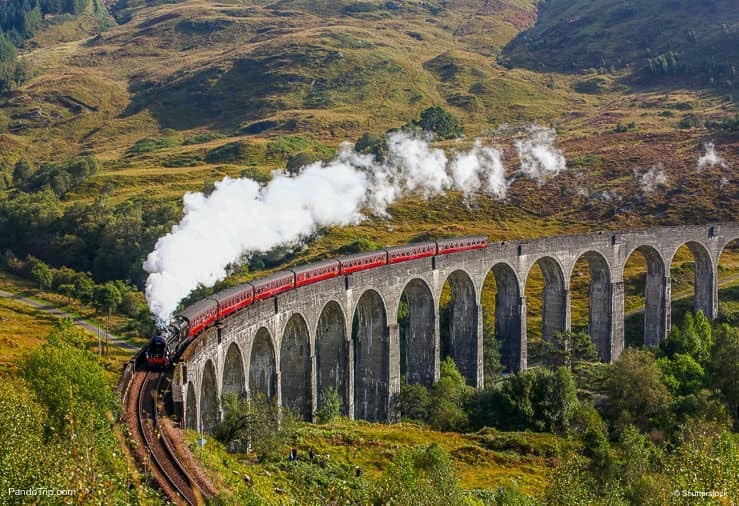 The Glenfinnan Viaduct is the longest railway bridge in Scotland. It’s not only special because it appeared in the Harry Potter films either. The viaduct has twenty one arches which carry a single track railway line one hundred feet above the River Finnan and through the Finnan valley for more than one thousand two hundred feet. Without one ounce of metal reinforcement? Now that’s magic. Why Go? 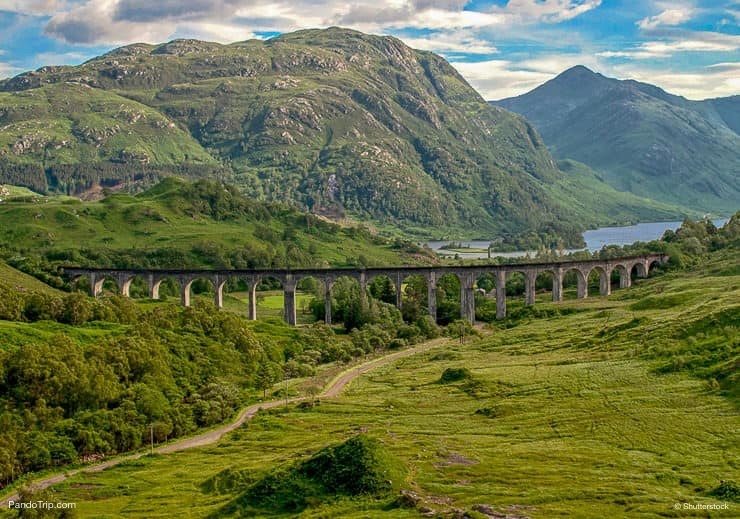 As far as mass concrete structures go, the Glenfinnan Viaduct is probably one of the most amazing in the world. Board the train ride to cross it and you’ll be guaranteed one of the most scenic rides of your life. 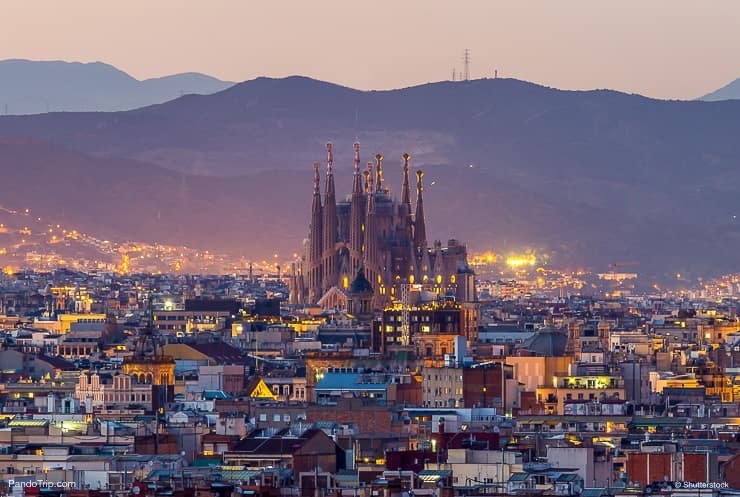 Architect Antoni Gaudi left his mark all over Barcelona with his imaginative designs. None is as prominent as the Sagrada Familia. It’s a building which really pokes you in the eye with its exaggerated elaborateness. Construction of the church began way back in the late nineteenth century and still hasn’t been completed. Why Go? The Sagrada Familia is a great place to see before you die. Why? If you live to be a hundred and they ever actually finish it, you’ll be able to say you saw it while it was still being built. You can’t say that about many national monuments so make the most of the unique opportunity. The Grand Canal cuts through the city of Venice in Italy for almost two and a half miles. The inner-city waterway is almost three hundred feet wide in places which is good as there can be anywhere up to five thousand boats a day navigating along it. Why Go? The Grand Canal is lined either side with incredible historic buildings and is probably the most decorated stretch of waterway anywhere in the world. Most of the amazing buildings are only viewable by boat, but it’s the constant wash of boat wakes which cause them structural damage. Go and see them before their foundations are beyond repair and they disappear beneath the water in a pile of rubble. 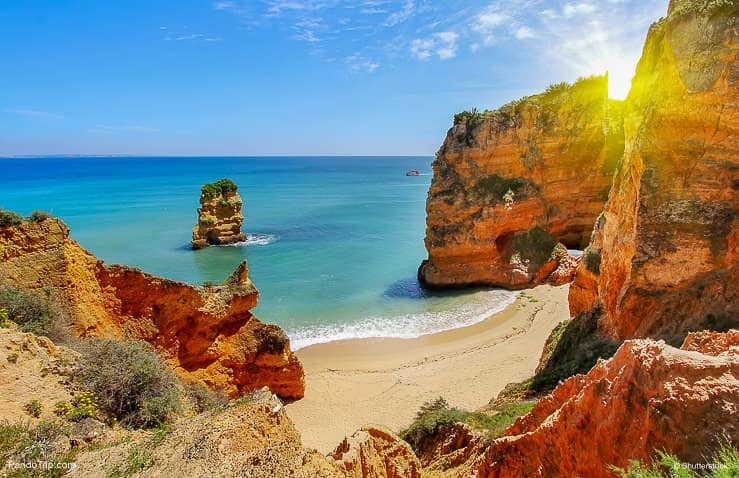 The Dona Ana Beach is an incredible stretch of impeccable sand just one and a half miles from the centre of Lagos. It’s hard to believe such a stunning stretch of coastline could actually be so close to urbanity. What makes it even more impressive are the rugged cliffs which back the beach. They’ve been eroded by the action of sea and wind into unusual formations which expose the rock’s multi-colored strata. Why Go? Who needs a reason to go to the beach? If you do need a reason, well, you can always boast you saw the cliffs before they were worn away by the elements and became just another grain of sand. 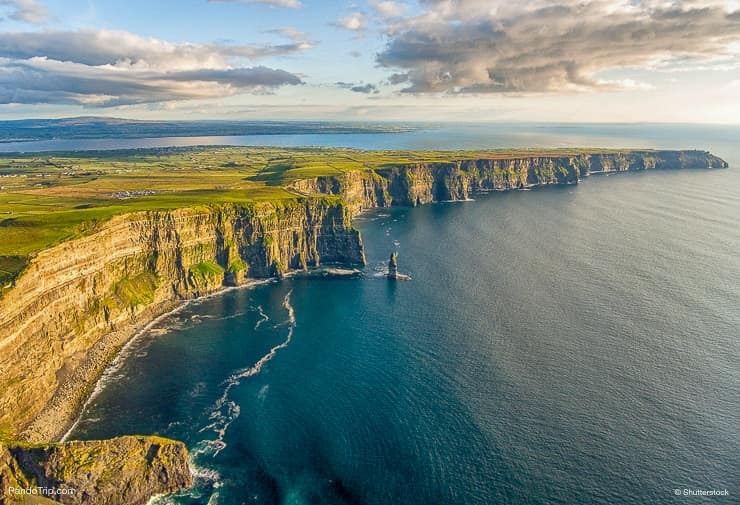 The Cliffs of Moher are a staggeringly rugged part of Ireland’s west coast. It’s a long, almost four hundred foot, drop from the cliff tops down into the Atlantic Ocean below. They’re steep, they’re gaunt and believe it, Nature used her harshest tool when she carved away the land to form the eight and a half miles of this stark geological formation. Why Go? Visit the Cliffs of Moher and you’ll be able to say you’ve stood on the edge of, if not the world, then at least Ireland. There’s always the option of adjourning to the pub after to sample a pint or two of Guinness. Any more persuasion needed? 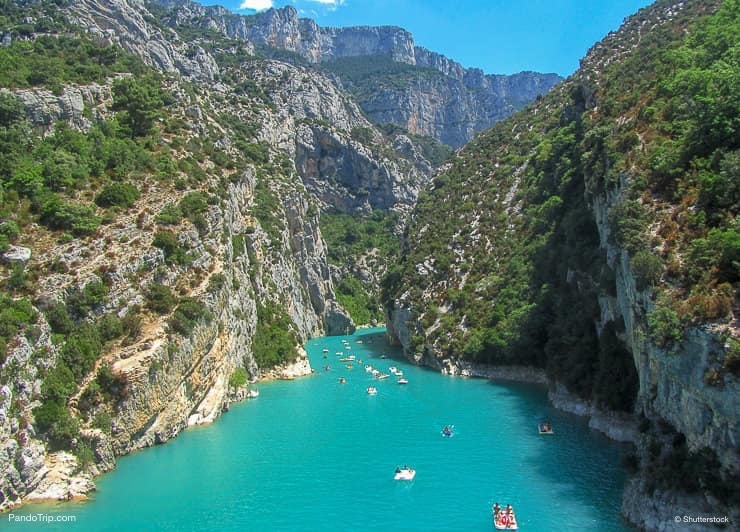 Carved from solid rock by the raging waters of the Verdon River, the Gorges du Verdon stretches like a scar through the French countryside for over fifteen miles. Even more awe-inspiring are the gorge sides which tower over two thousand feet about the glacial blue river water. Why Go? 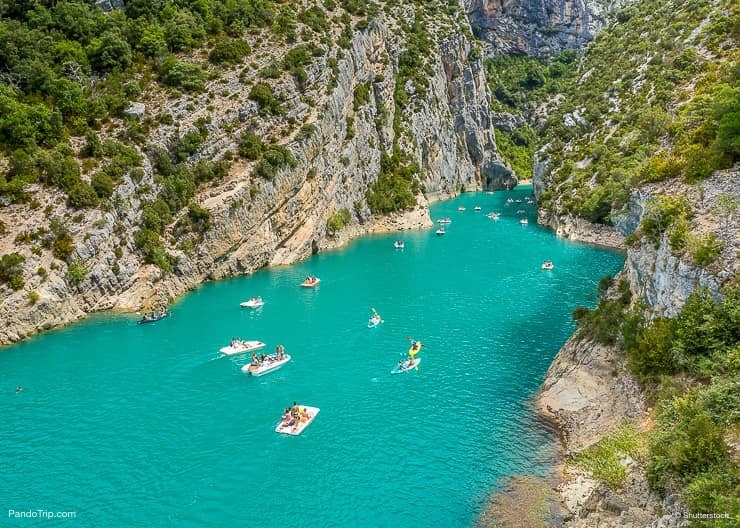 The Gorges du Verdon is the perfect place to get a big adrenaline thrill. Canoeing through the canyon is like time traveling back to a Jurassic world, only thankfully without the dinosaurs. One of the best places to visit in Scandinavia is the Preikestolen which is an enormous rock formation in the Norwegian wilds. Known as Pulpit Rock it looms over the ice blue waters of the Lysefjord to a staggering height of almost two thousand feet. Topped by an eighty square foot plateau it is one of Norway’s most photographed landmarks. Why Go? If you ever wanted to preach a sermon to the world, well, this is the place to do it. The Preikestolen isn’t nicknamed Pulpit Rock for nothing. Spread your arms and shout a few words, your voice will carry for miles. The Blue Lagoon on Iceland’s Reykjanes Peninsula is the world’s most picturesque spa. The cloudy azure waters of the man-made lagoon are heated by an underground volcanic lava field and loaded with therapeutic minerals which are reputed to aid the healing of skin problems. Why Go? If you’re going to spoil yourself with a spa treatment then do it in the best. The Blue Lagoon is definitely that. It can work out quite pricey for a quick dip so if you’re traveling on a budget, check out these cheaper alternatives to the Blue Lagoon instead. 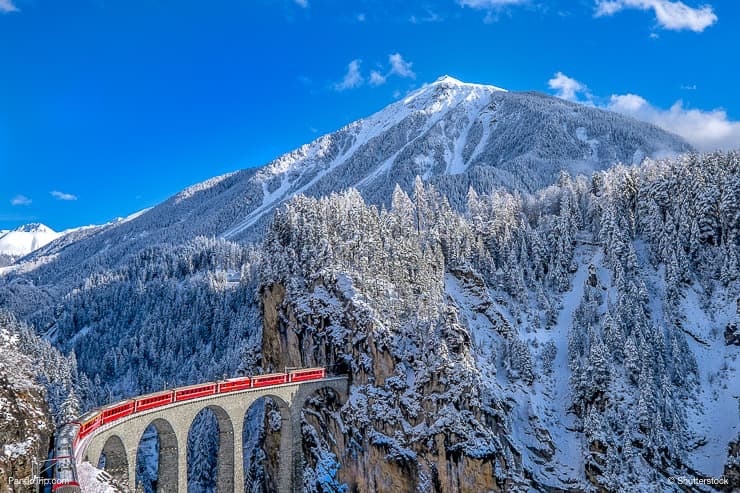 The Landwasser Viaduct carries a single track rail line across the Landwasser River at a mind-boggling height of over two hundred feet. Its six arch formation is an incredible architectural accomplishment considering it was constructed well over a hundred years ago. Why Go? 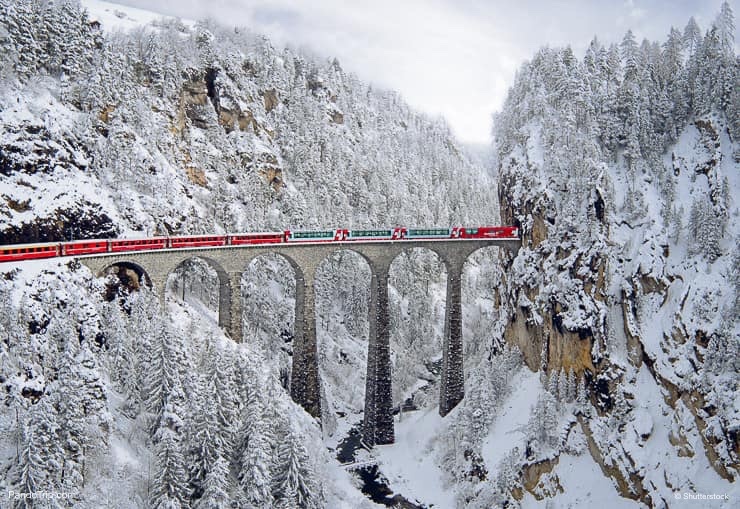 The Landwasser Viaduct Bridge is one of the best places to visit in Switzerland. Why? Board the train and ride across it. It’ll be the scariest edge of your seat, hold your breath, adrenaline thrill you’ve ever had without entering an amusement park. The Gásadalur or Múlafossur Waterfall as it is also known really is one of Nature’s hidden treasures. 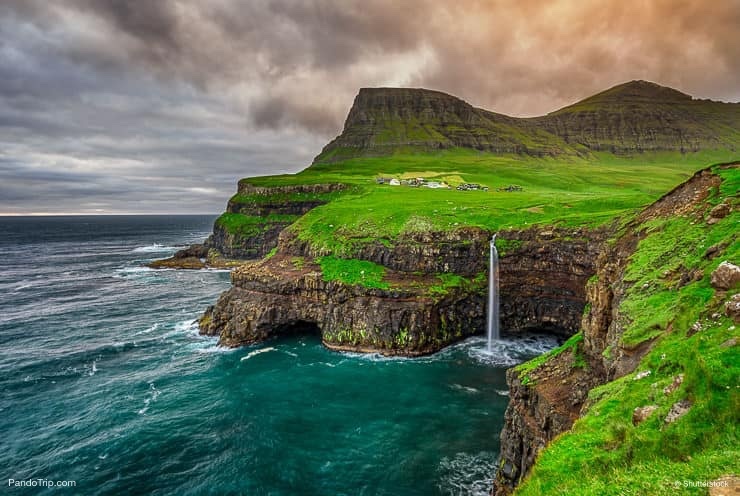 Situated on a remote Faroe Islands with only the small village of Gásadalur close by, the stunning waterfall tumbles over a steep cliff edge colonized by seabirds. It is one of the most picturesque waterfalls in Europe. Why Go? If you do go to see the Múlafossur Waterfall, you can call yourself a true adventurer. It is so far removed from civilization not many people have actually been there. You’ll be one of only a few who are able to upload their photos to the internet. The Hallstatt Village is on the shores of Lake Hallstatt in Austria. Backed by a rugged mountain landscape, it’s more easily accessible by boat than by road. Seemingly untouched by time, the village’s colorful alpine houses and cobbled streets date to the sixteenth century. Why Go? 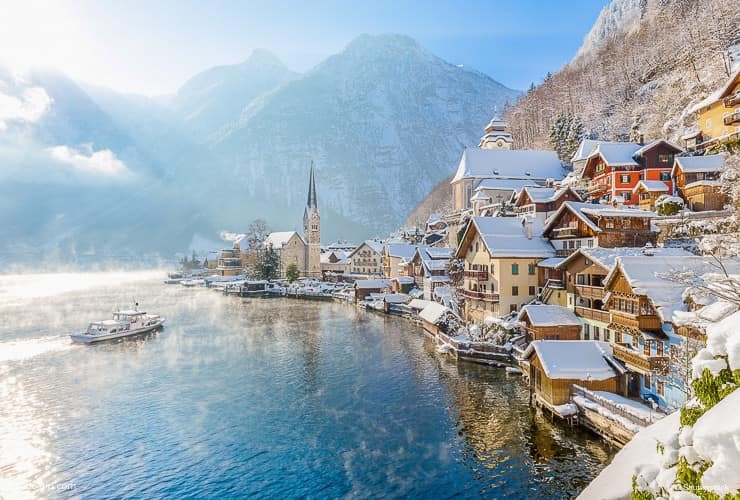 Going to Hallstatt Village is like visiting the land that time forgot. If you’ve ever wondered what it would be like to time travel backwards a few centuries, you’ll find the answer here. 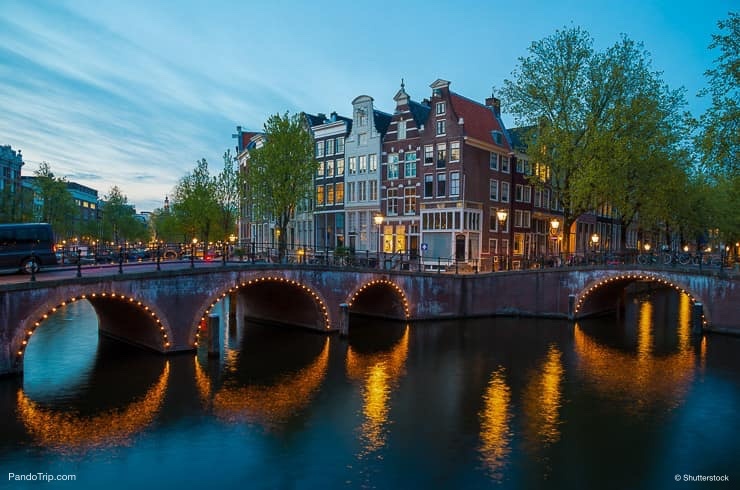 The Keizersgracht or Emperor’s Canal is the widest canal in Amsterdam. Over a hundred feet wide, the canal is lined by five hundred-year-old buildings which, although they may have been converted into luxury apartments, still maintain their original facades. Why Go? 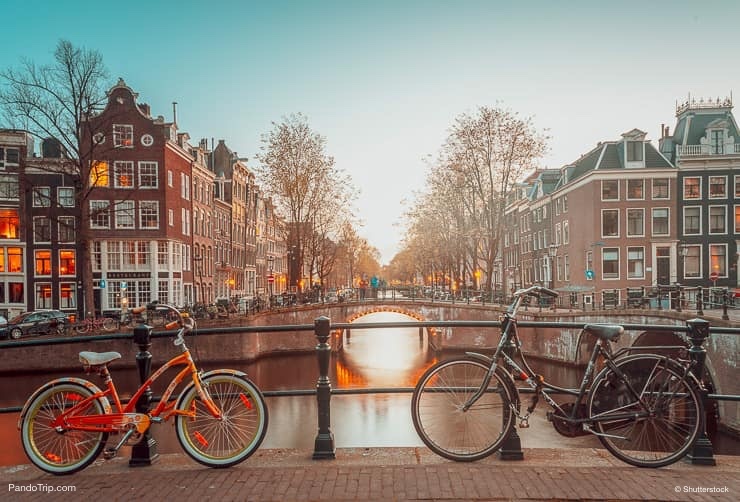 Amsterdam is a city full of canals. If you’re going to make a point of seeing one, make sure its the biggest. Go in winter when it’s frozen over and rather than sail down it in a canal barge, you can skate down it instead. Out of the five towns which comprise the UNESCO site of Cinque Terre in Italy only Vernazza has a harbor. The multi-colored houses of the car-free fishing hamlet area a major attraction to photographers. Why Go? Vernazza has previously been heavily damaged by flooding and mudslides. Go and see it before it happens again and the town is destroyed beyond repair. If that’s not reason enough, they also produce a local wine called vernaccia which is a delectably good. Do you need a better reason to go? 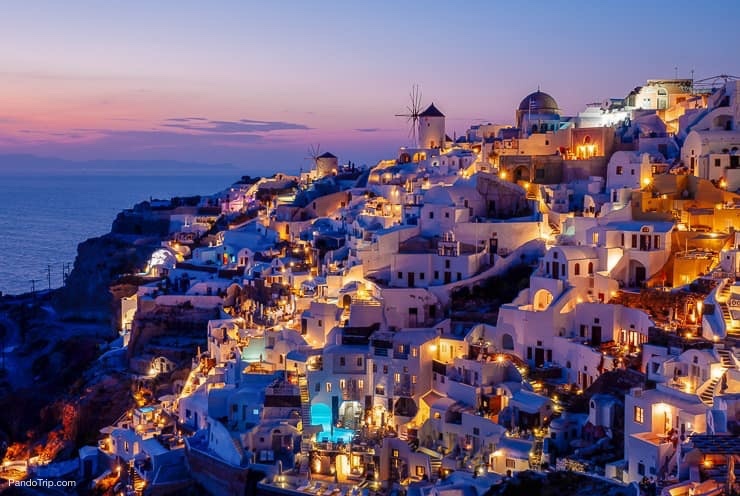 Oia is a village which snuggles in a volcanic cauldron on the coast of the Greek island of Santorini. Its houses are painted an eye-dazzling white and blue, but while it may look spotlessly new, the settlement’s history is traceable as far back as the beginning of the eleventh century. Why Go? Most Greek monuments are either ruins or at some stage of falling into disrepair. 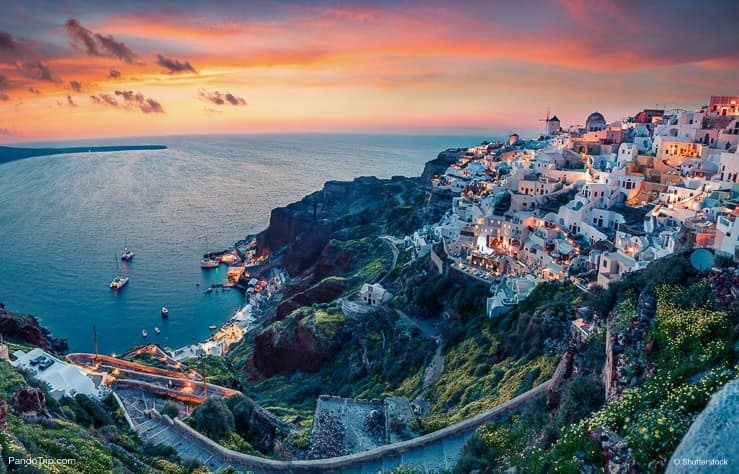 Maintained to a pristine, impeccable level, Oia is a Greek rarity. Go there and you’ll see Greece at its impeccable best. The impressive Neuschwanstein Castle perches on a hill and overlooks the Hohenschwangau valley in SW Bavaria. It is one of the best castles in Germany. Built as a king’s folly in the mid to late nineteenth century its internal plumbing and heating systems were a major leap forward in the technology of the times. Why Go? Neuschwanstein Castle is often called the fairytale castle because of its exterior multi-turreted appearance. Whether it was inspired by a fairy tale or writers of fairy tales were inspired by it is a question which still begs to be answered. Visit the castle to see if you can find a vital clue to the never-ending mystery story. 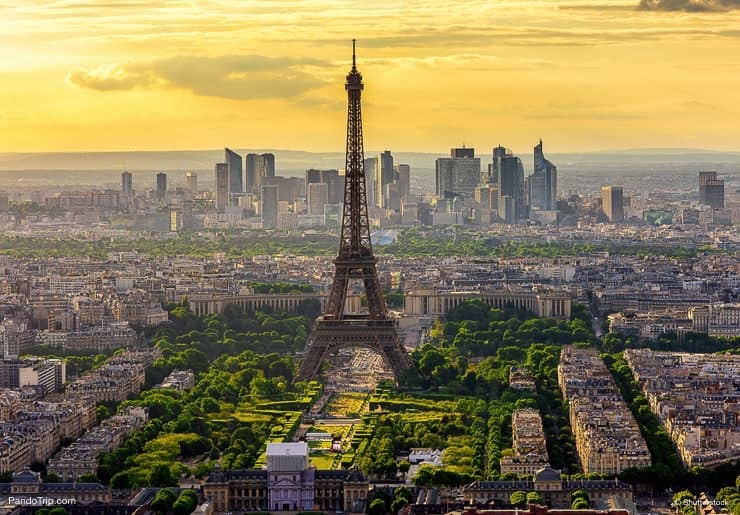 The Eiffel Tower does literally tower above Paris, the French capital. The metal construction is a dizzying one thousand feet high and is the tallest structure in the city. It took two years to build and was inaugurated just in time for the 1889 World Fair. Why Go? 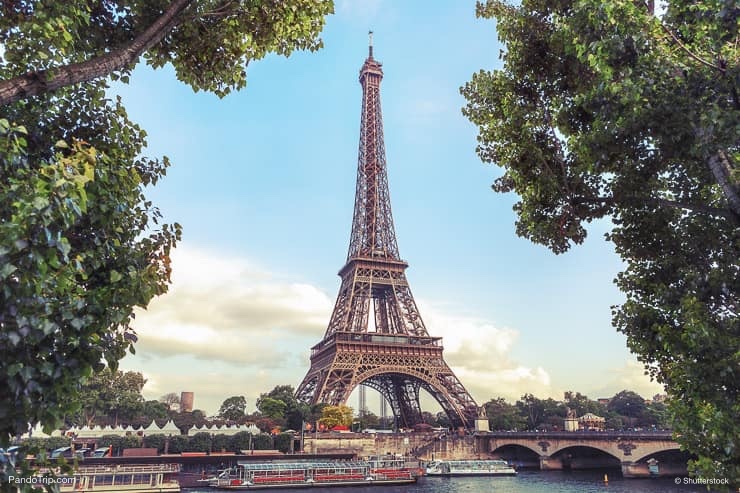 The Eiffel Tower is one of the world’s most iconic monuments. The view from the observational platform is the view of Paris you must see before you die. 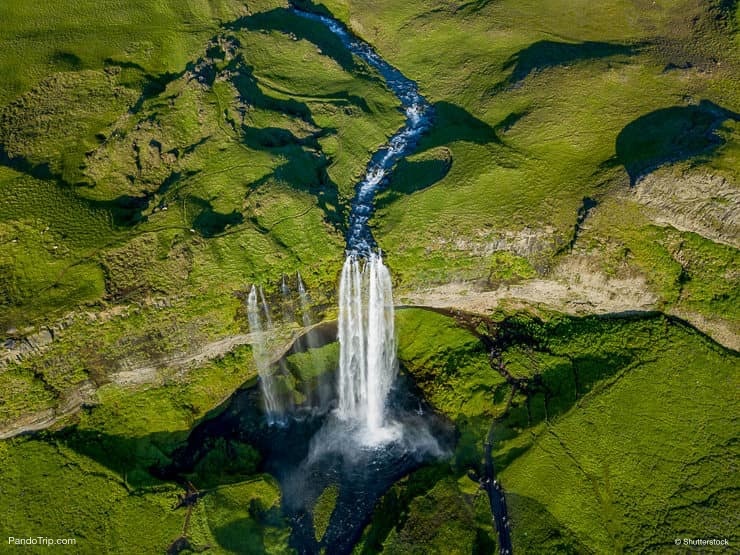 The Seljalandsfoss Waterfall is one of Iceland’s most impressive waterfalls. The water source, from a glacial melt, rages over the cliff and drops a magnificent two hundred feet before continuing its course. Why Go? 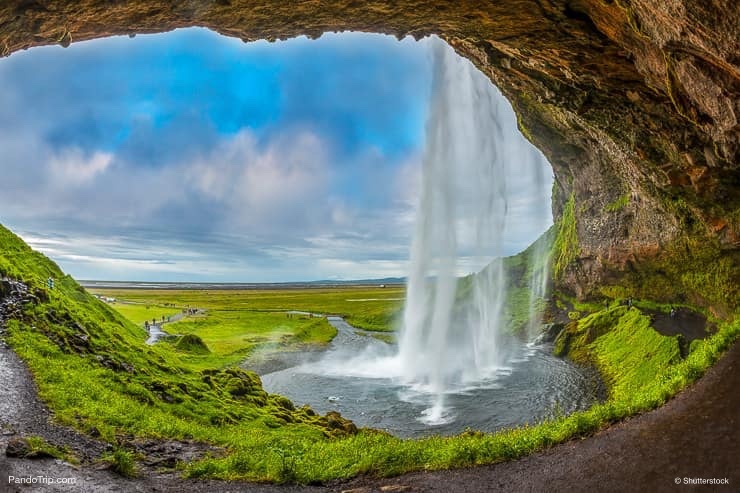 Hidden behind the raging stream of water which is the Seljalandsfoss Waterfall is a cave. Accessible by foot, the cave gives you a unique viewpoint to observe the waterfall in all its force and to get some amazing photographs – rainbows included. You can’t do that anywhere else in Europe. 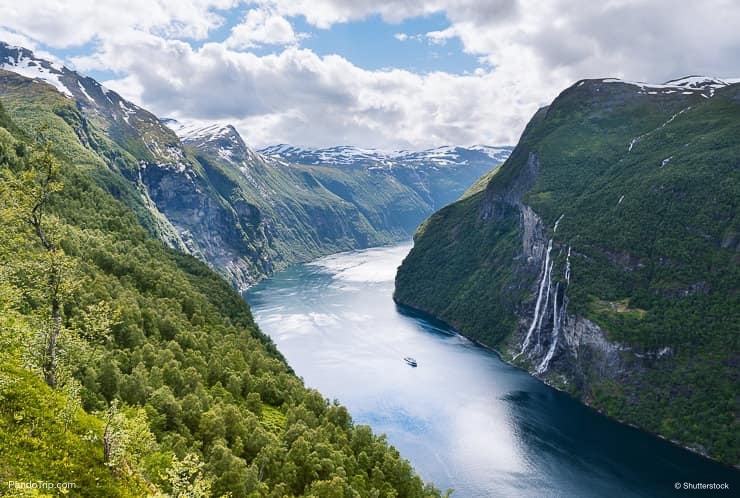 The Seven Sisters Waterfall is a group of seven streams which cascade over a cliff near Geiranger in Norway. Not the highest waterfall in Norway by any means with a drop of just over eight hundred feet, but definitely one of the best things to see in Scandinavia. Why Go? The Seven Sisters Waterfall is fed by melting glacier ice without which there’d be no waterfalls. Go to see it before the effects of global warming turn it dry and it’s nothing more than another Norwegian cliff face. 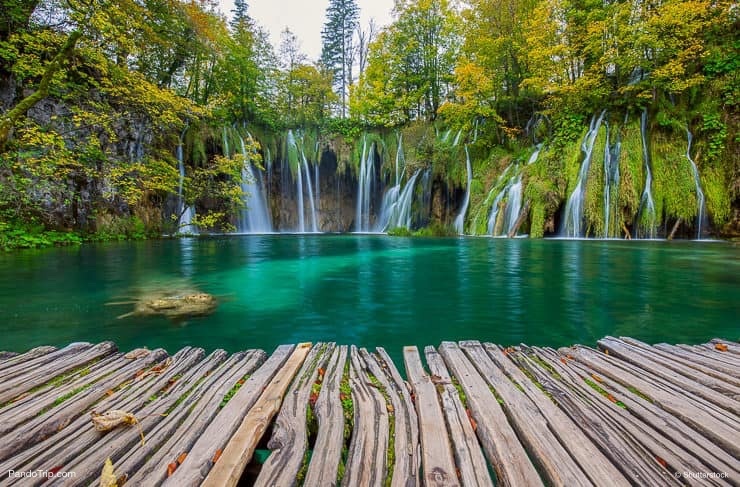 The Plitvice Lakes National Park in Croatia is an amazing configuration of sixteen lakes interlinked by stunning waterfalls and surrounded by forests. Situated between the Mala Kapela and Lička Plješivica mountain ranges, it’s recognized worldwide as a place of outstanding natural beauty and was Croatia’s first national park. Why Go? 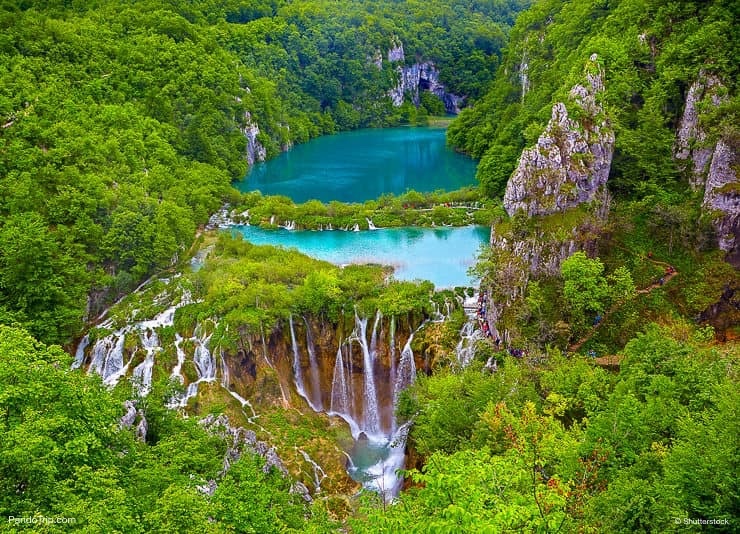 The beauty of the Plitvice Lakes National Park defies description. It is something you just have to see with your own eyes to believe it. Even photographs don’t do it full justice. It really is one of the best national parks in Europe. Don’t miss it.